Fluid Art and Acrylic Paint Pouring is an interesting way of applying acrylic paint to canvas, it creates free-flowing nebulas of paint and colour - and can be really effective when done well. We understand that not all Artists can afford to use the top quality archival mediums, such as Liquitex Pouring Medium or Atelier Pouring Medium to make their fluid art with - and many people seek alternative ways to create the same effect so they can experiment with fluid art, and hone their skills without it costing a fortune. We are going to show you a recipe using Mont Marte Art Supply products to make your own pouring medium, and also examine a few basic tips for getting into fluid art painting. Using 4 ingredients you can mix your own version of Pouring Medium to practice your pour with for a quarter of the price. In this example, 405mls of PVA, 135mls of Acrylic Gloss Medium, and 203mls of Coldwater has been used. Once thoroughly mixed the liquid should be the consistency of pouring cream. If you want to make a larger batch all you need to do is increase the quantities at the same ratios. The mixture can be stored in an airtight container, make sure to remix is if you leave it overnight in the container in case elements have separated. Prior to commencing a pour your will need to mix up your colours with the medium in cups or containers. Using plastic cups, combine 1 part Paint, 2 Parts Pouring Medium and 1 part Water. Using a wooden stirrer to thoroughly combine all the elements until it is the consistency of pouring cream. In this demonstrated pour, colours are mixed to suggest a galaxy or clouds. 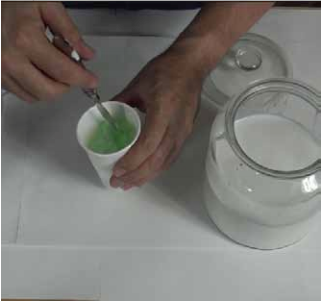 To create this style of pour, fill the plastic cups with small amounts of the paint previously mixed with pouring medium. Once the pouring cup is filled. Hold the cup in your hand and lay the canvas face side down on top of the cup. Ensure the cup is relatively centralised. Hold the cup and the canvas tightly together and flip the canvas face side up. You can then gently lift the cup and release the paint. 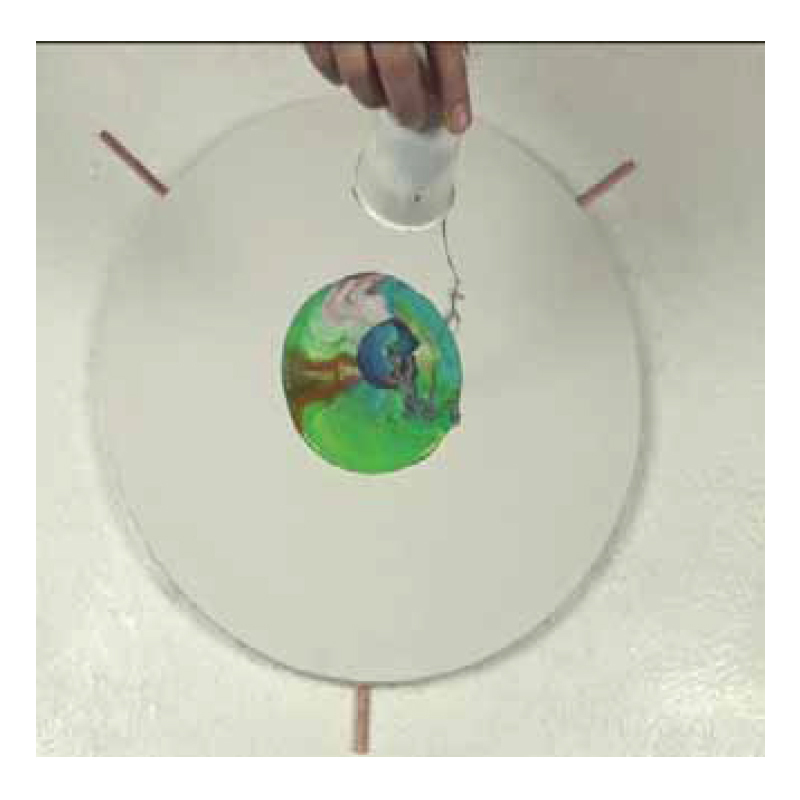 Manipulate the paint around by tilting the canvas until it is covered. Watch Mont Marte Joe's video demonstration covering most of what is mentioned in this post. Fluid art is technique that has taken off all over the world and is producing some amazing, creative art pieces from both beginner and professional artists. 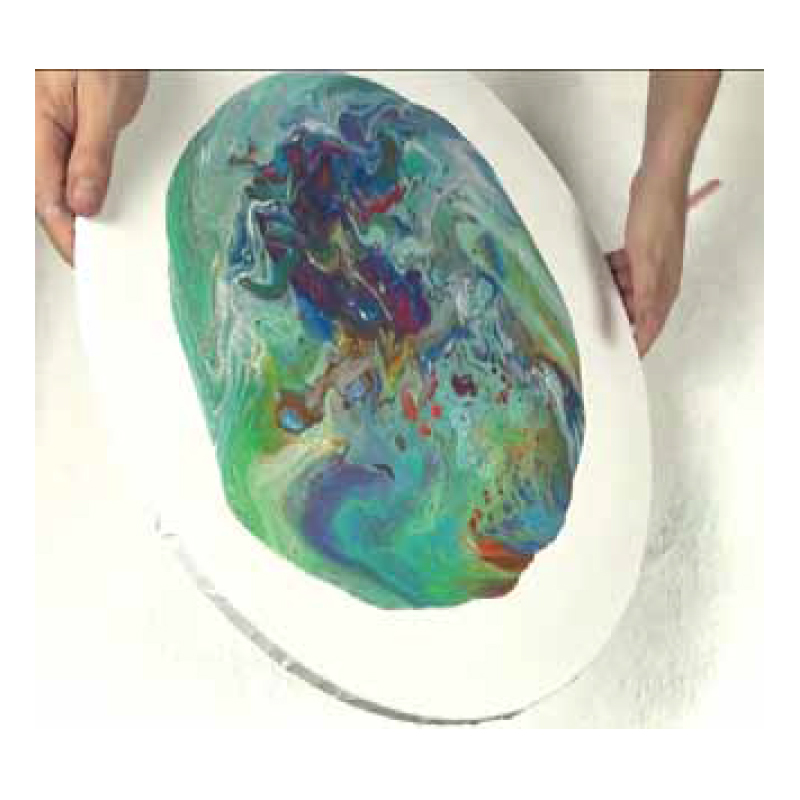 The technique is also sometimes called flow art, and this refers to the consistency of the acrylic paints used in the process. The paint is designed or manipulated to spread and flow easily across mediums, while maintaining its original colour. Fluid acrylic paints are the best for this kind of art, as opposed to those involving a paint brush. There are a number of paint manufacturers and brands that sell ready-made fluid art acrylics, but we know that these may not be in everyone’s budget - especially if you are just starting to experiment with it. Luckily you can make you own version too, which is just as effective and much lighter on the wallet. The wonderful thing about flow art is that there is no right or wrong way to do it and the end result is completely your own creation. It’s a medium with a lot of variety and there are a number of different techniques to try when pouring to get an interesting array of results. During the flip cup technique, individual colours are prepared and then poured into one master cup and then flipped onto the canvas without being stirred first. Tip: Try the dirty pour technique for different results. This is when you use a wooden stick to carefully mix/move your colours around in the main cup to get a more controlled idea of what you paint is going to look like once poured. This is a favourite pour technique for beginners and that’s because it’s easy to do and the results can be simply controlled. All colours are poured individually onto a canvas with the first colour forming the base. These are just some of the easier techniques to use when doing fluid art and once you get the hang of it and want to start moving onto something more complex, then you can start learning about swipe, swirl and string techniques among many others. Flow art is a technique that is suited to all ages and levels of experience and is an incredibly fun and rewarding hobby to get friends, family and kids involved in. If you’d like to get your hands on some fluid art supplies or need some expert advice, tip and tricks, then simply pop into the Art Shed store in Melbourne or get in touch with us online and we’ll be more than happy to help you with some ideas and inspiration. We look forward to getting creative with you! if i use some pva all purpose glue and water mixture with my acrylic pours will it eventually peel as time goes on? Hi Dawn, if you follow the recipe from the post you should have no troubles. We have trialed this ourselves and it worked really well. Hello Please tell me how do you get rid of air bubbles and what is there a particular way to assist with drying? Hi - ah yes the notorious air bubbles! If you are just using fluid acrylic I would suggest trying to pop the bubbles with a pin before it dries. It is very hard to avoid as air pockets get trapped in the paint when pouring. If using resin - you can use a little blow torch quickly over the surface which brings the bubbles out of the resin. 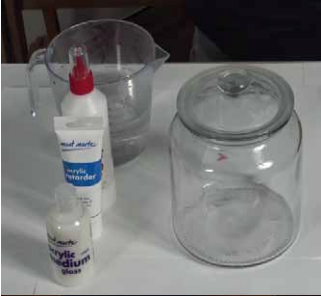 There is not really any way to speed up the drying of your fluid art without the risk of cracking the paint. It is always best to let paint dry at its own rate. Hi Kathy :) unfortunately there is not guide for a combination of atelier and Mont Marte brands. You best bet would be to try and get the paint/medium mixture to the consistency of pouring cream before you pouring. Those should be all you need to get started with pouring :) there are loads of other products you can add to the mix as you progress. Hi, For fluid art as a beginner I would suggest https://www.artshedonline.com.au/mont-marte-silver-series-satin-100ml/ The Satin Acrylics are a mid viscosity acrylic, they have a great ranges of colours and are a really affordable price.